You�ll need two (birch) twigs. Bend the twigs to heart shape and attach with wire. 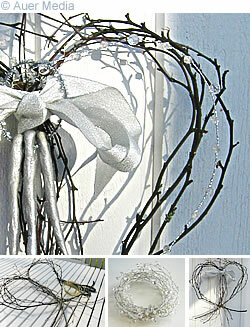 You can use any kind of wreath but the icelike clear beads look especially cool on this simple twig wreath. Bend some wire with clear beads around the wreath. Tie a ribbon in the middle of the wreath. If you like, attach a few icicle decorations with silver pipecleaners or wire in the middle of the wreath. 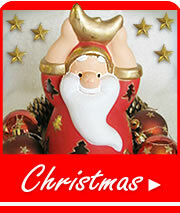 The icicles in the picture are made of salt dough and they are painted with silver spray.